We all want to ensure our kids are getting enough vitamins and nutrients in their food and drinks but sometimes the struggle to convince them to eat more veggies or finish their dinner is exhausting! 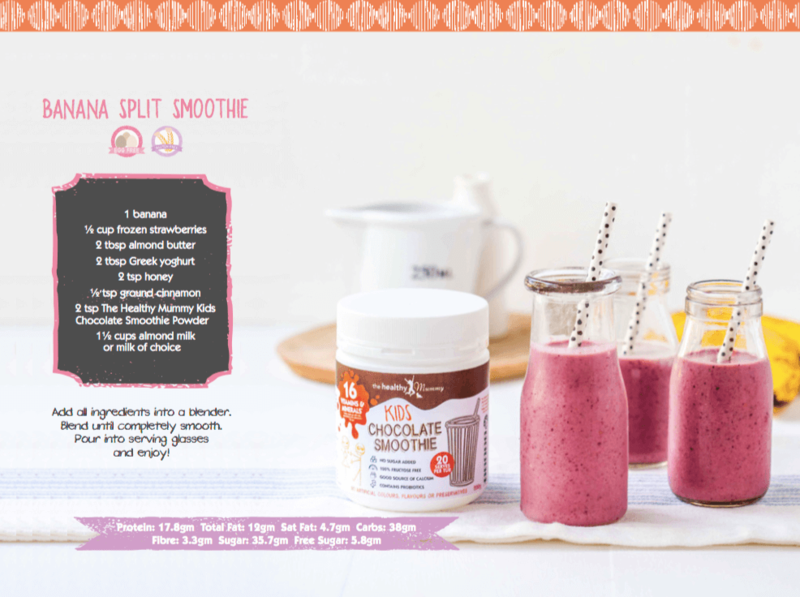 The Healthy Mummy Kids Smoothie is an easy and healthy way to add extra nutrients and vitamins to your kids’ diet. Not only is the Smoothie rich in carbohydrates and protein, it also contains 16 essential vitamins and minerals and is fructose free. When combined with milk, it provides kids with 50% of their recommended daily calcium intake and contains probiotics, which are important for a healthy gut. 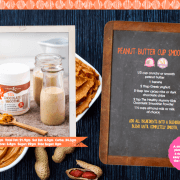 Because of the delicious chocolate flavour, you can also create combos for your kids, using healthy fruit and veggies, without them even knowing. 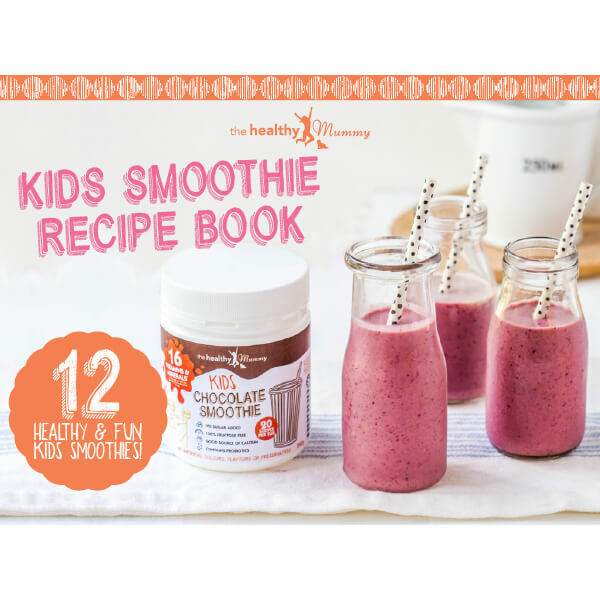 Perfect for those little ones who may turn their faces up at a plate of green veggies but will benefit from the nutrients these vegetables provide when added to a yummy chocolate smoothie. 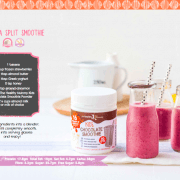 Getting your kids involved with creating their own favourite smoothie combos is a great way to get them interested in learning more about healthy eating and drinking. 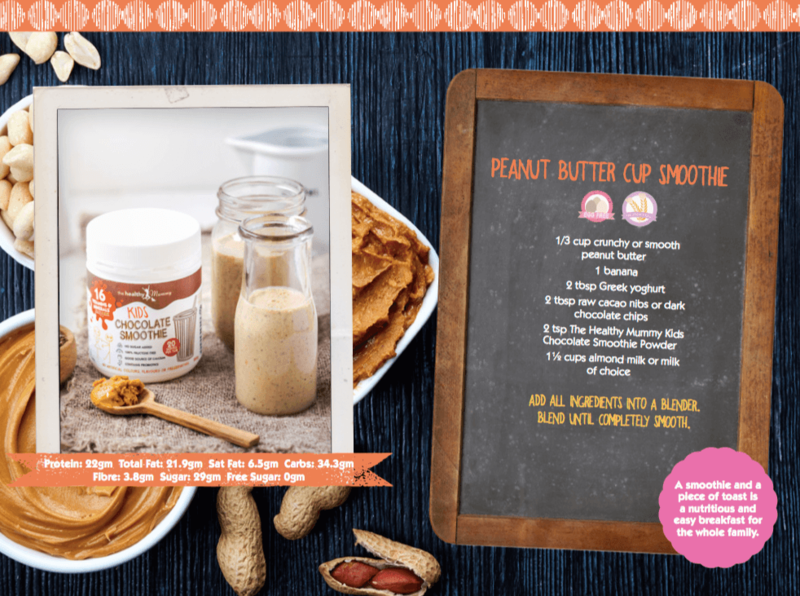 In this book we’ve put together some of the flavour combos our kids love to get you inspired.